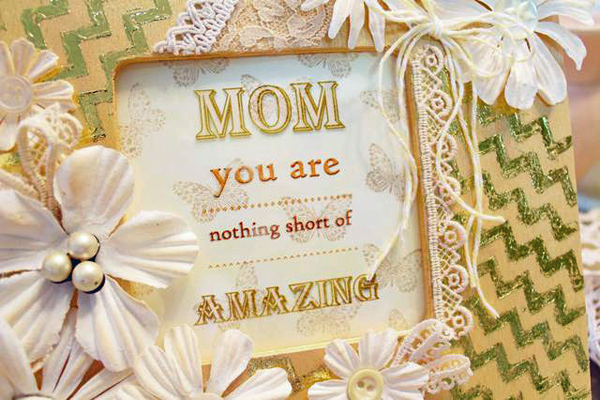 Project Description: Create a personalized frame for your AMAZING MOM on Mother’s Day! 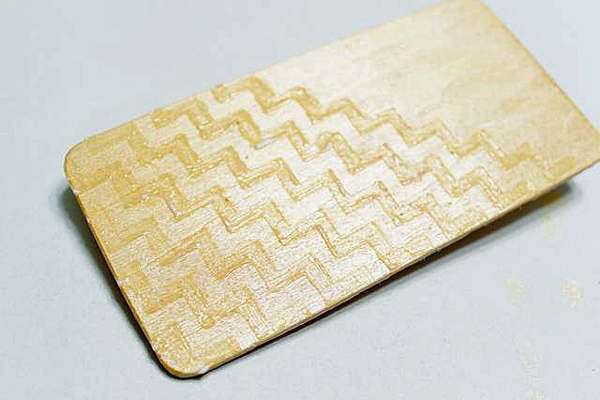 (Follow steps on a wood piece instead of the frame for demo). Paint frame with 2 coats of Mango Izink, then 2 coats of Opaline, letting the paint dry in between coats. Lay the stencil at the desired angle over frame and tape down to work surface. 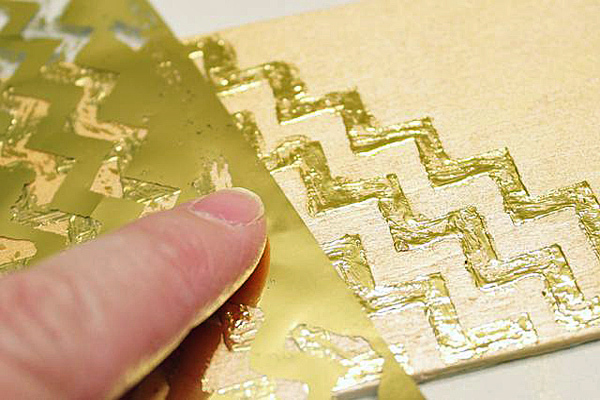 Apply a thin line of glue in designs of the stencil. 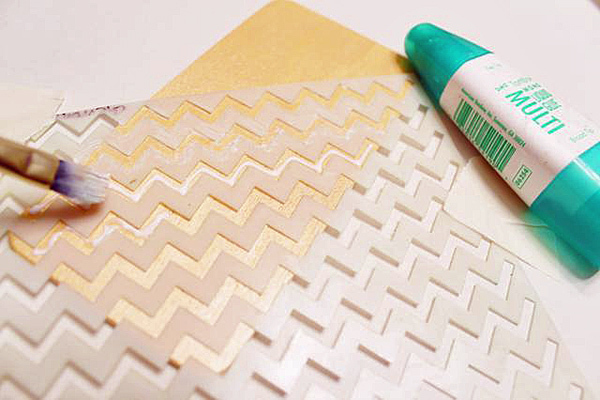 Use the paintbrush to begin spreading glue into the designs on the stencil. 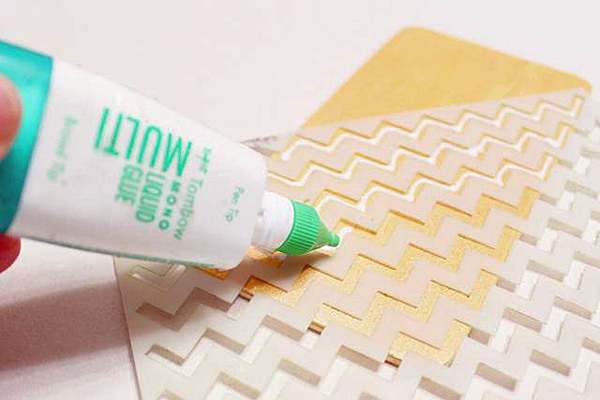 Work carefully to avoid getting glue under the stencil. Remove the stencil and set the frame aside to dry. 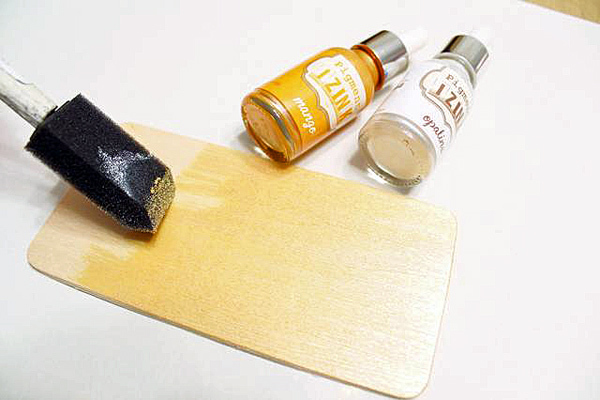 You’ll know when the glue is dry as it will turn from white to clear. 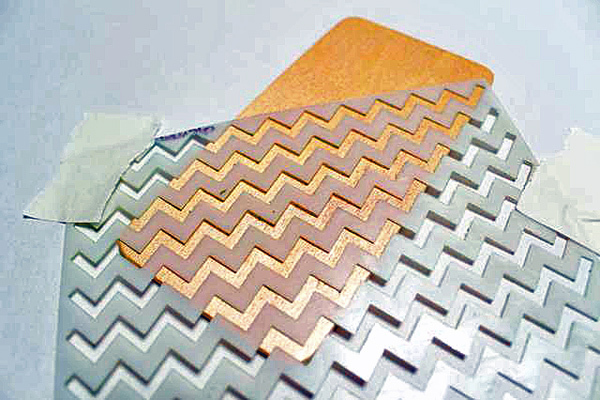 Place the Designer Foil sheet, silver side down; on top of glued design then rub firmly to transfer film. 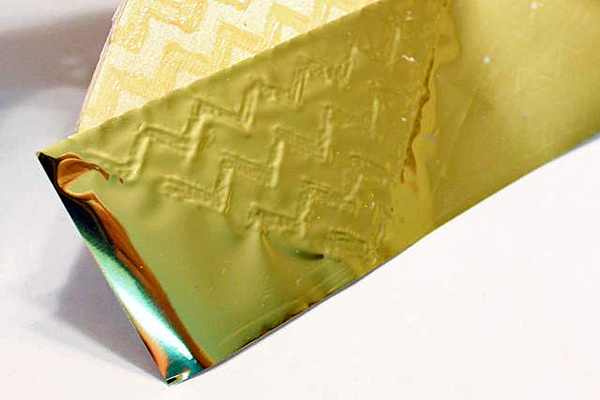 You should be able to see the design in the foil if you have rubbed hard enough. 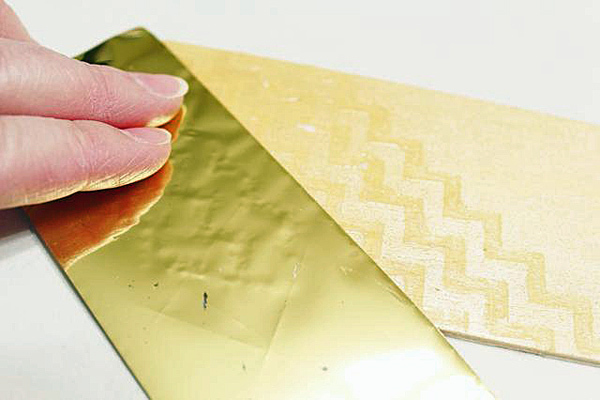 Remove the sheet to reveal the transferred foil. 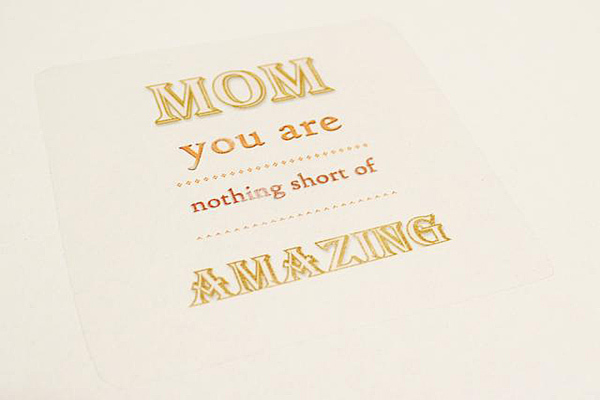 If you missed a spot, just find an area on the Designer Foils sheet with foil left, place over the spot and rub. You can use the WHOLE sheet of foil. 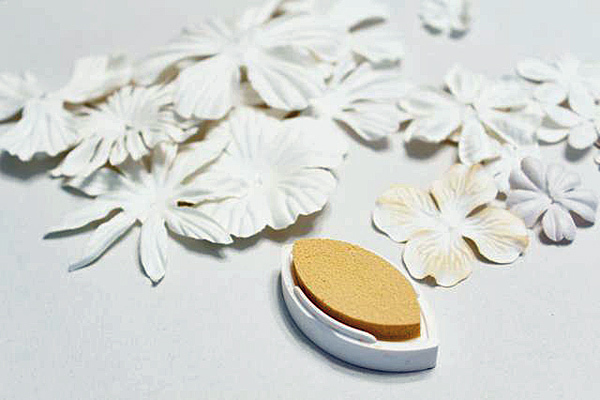 Flowers were inked with a touch of peach using ColorBox Peach Pastel Cats Eye Ink. 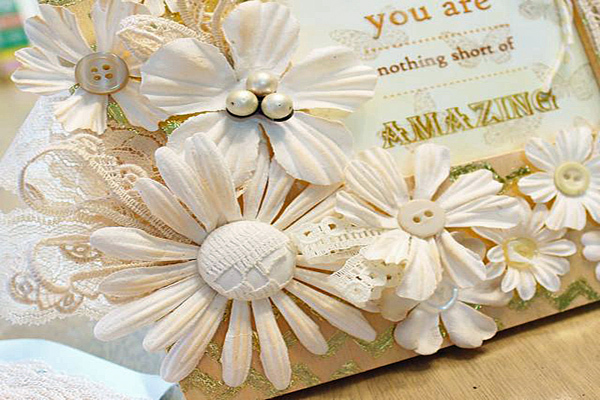 The flowers and buttons were adhered using Tombo Mono Adhesive Liquid and Adhesive Tabs. Some of the buttons that had uneven buttons were adhered using Foam Tape. 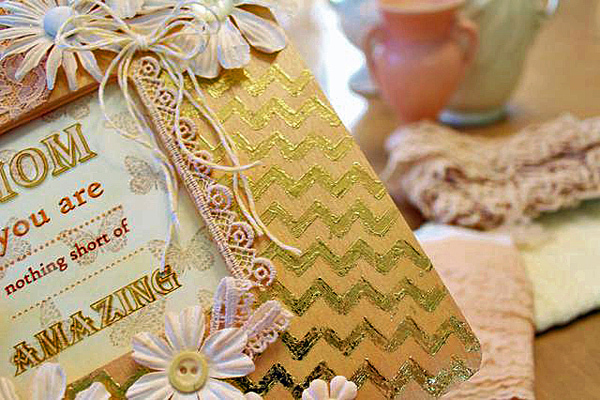 Vintage lace was used to add loops behind some flowers as well as to portions of the frame. 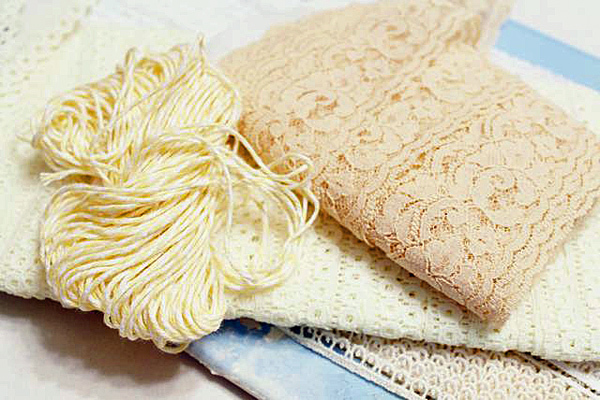 Baker’s twine, in a soft yellow, was used to add a bow to the upper corner. 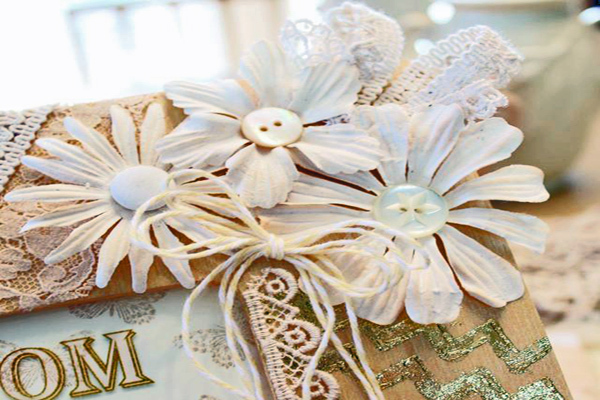 Flowers, button, and lace loops adhere to the lower left and upper right of the frame. The baker’s twine bow is added to the upper right corner. Some lace was used to fill in an open spot at top of the frame. Banana Custard Pigment Ink was applied using the Stylus & Tips to tint a piece of white cardstock. 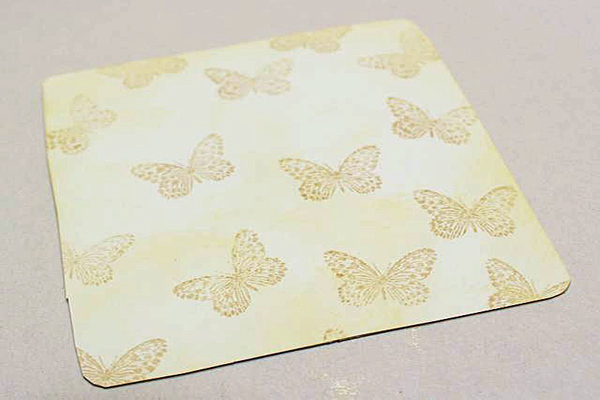 Then butterflies were stamped using Dune Pigment Ink over the cardstock. The inked and stamped cardstock piece was cut to size and adhered to the frame backing. The overlay was made using Clear Inkjet Computer Grafix and Word. It was cut to size to fit over the paper covered frame backing. The inked and stamped paper with the overlay on top when inserted into the frame. 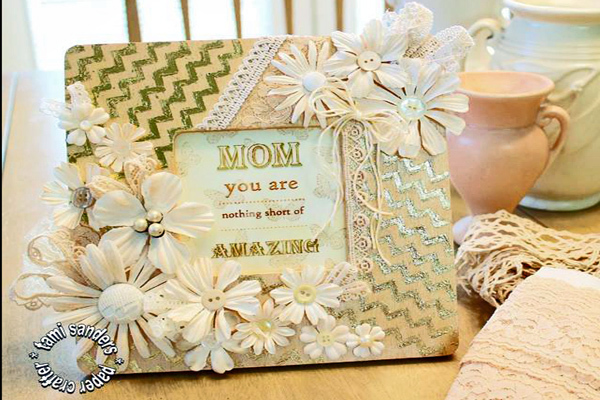 Now you have a finished frame all ready to be gifted to mom!